A growing collection of articles, tools, resources and inspiration to help you use podcasting in your school. An annotated list of my software tools. Digital video production, editing and publishing offer genuine opportunities for kids to learn and express that knowledge in new ways. This feature provides an overview of digital media and a collection of recommended resources. WARNING: The article is a 16 mb PDF file. Click here for the HTML version of this article. How to embed a QuickTime in a web page. 10 steps to streaming nirvana! The story of students creating a streaming audio radio station on the web. A terrific MacWorld tutorial on how to produce your first tune. Jim Heid's great and growing collection or articles, resources and tools related to iLife. AtomicLearning.com has created a great collection of brief QuickTime clips to help you with every feature of iMovie. A collection of resources for digital video-using educators. What can QuickTime create and understand? When deciding on the best way to deliver your QuickTime movies over the web, which should you choose--Fast Start (HTTP/FTP delivery) or streaming (RTP/RTSP delivery)? This is an amazing site filled with animated tutorials, complete with audio, designed to teach video neophytes everything they need to know about producing terrific digital films. ShowMacster 1.0 is an extension to iChat AV that makes it possible to stream pictures, Quicktime movies, and live screen captures during video conferences. The software is integrated into iChat AV, adding a drawer to the video chat window, and with a button or hot key press, it switches from the current iSight video stream to the assigned picture, movie, or live capture. ShowMacster is 15 Euro for Mac OS X 10.3 and 10.4 with iChat AV and an iSight camera. iRecordNow is a $14.95 one-button application that allows you to use the iSite as a digital camcorder creating DV files you can use in other applications, such as iMovie. One of the first articles I've seen about how to use the iSight camera with software other than iChat. It shows how you can use QuickTime Broadcaster to capture/record/archive video for use in other applications. The article also demonstrates how iSight may be used to overdub audio in iMovie. Note: iMovie 4 now supports the iSight as a video source. 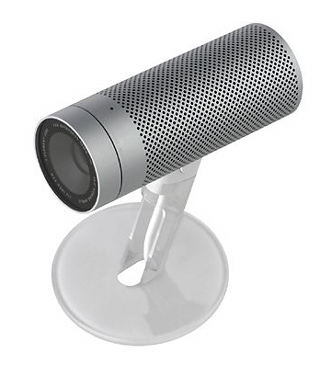 Top Ten Digital Video Tricks -- Great hints for capturing beautiful video with DV camcorders and the iSight. 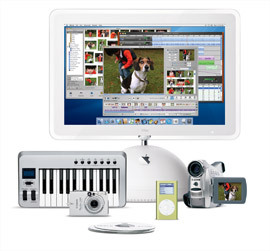 Sound is Half the Picture -- Want to learn more about recording sound on your Mac OS X computer? This article give you lots of great tips. Digital Still Cameras for QuickTime Movies -- Here's a helpful tutorial that will expand your QuickTime Pro editing skills. The Digital Video Pocket Guide is the perfect companion for making movies with your new iSight webcam. Lots of video making tips and tricks. Apple's groundbreaking easy-to-use movie editing software. Free with new Macs or via download. 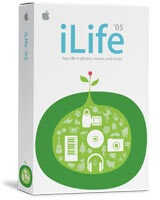 $59.95 (education pricing) as part of the iLife software suite. CF/X offers free and low-cost iMovie plug-ins, all less than $9.95 per plug-in. Unlike the plug-ins from Virtix, GeeThree and Stupendous, these are a la carte. Choose the one you need and skip the rest. Six terrific sets of extra transitions, special effects & titling toolsfor use with iMovie 3-'05. Bravo Filters and Echo Transitions offer 18-20 cool effects and transitions for use with iMovie. $24.99 each or both for $39.99. Samples are available for download. Several new Virtix plug-in packs specialize in cinematic effects. eZedia offers amazingly cool tools for extending the power of iMovie and QuickTime. eZeMotion allows you to create up to ten layers of animation in a movie. eZeScreen allows you to create "blue screen" chroma-key effects. eZeMatte allows you to place a matte around your movie. eZeClip allows you to place a still or movie on another clip or in split screen. eZediaQTI is cross-platform interactive QuickTime authoring software for creating rich internet content and movies. eZediaMX 3.0 is multimedia authoring software which revolutionizes media integration and editing by generating QuickTime output. Education pricing for individual, lab packs and site licenses are available. Stupendous offers a large selection of commercial plug-ins designed to add functionality to iMovie. Apple's free mp3 player, ripper, burner and library. More than you know you wanted to know about the latest communications revolution, podcasting. Add functionality to iTunes with these free powerful Applescripts. If you use iTunes, you need to download these scripts. Recover or transfer tracks from your iPod to your Macintosh. This is the best of a whole crop of similar uilities (IMHO). Other programs that copy files from your iPod to your Mac or between iPods. Apple provides a free tool for creating HTML links to songs, albums and artists in the iTunes Music Store. Use this web tool to create links from your web page to the iTunes Music Store. If your recorder is too new, too old (but not way too old), or just not supported by the current version of Apple's iTunes, you used to be out of luck or had to resort to hacking resources. Now you can run the free iTunes CD-RW Helper and iTunes may be able to work with your drive. For those of you who care about the hallucinogenic designs that appear as screensavers while iTunes plays, the following sites have new visualizers for you to download. Apple's free image organizing, editing and publishing software. Flickr is a web-based photo management, editing and sharing service. It's quite ingenious and worth a look. Upload photos from iMovie directly to Flickr. is a free OS-X native program that let's you adjust brightness, levels, color, saturation, tones, shaprness and noise. The Toast Export Plugin allows you to burn directly from iPhoto using Roxio Toast Titanium. Send discs to your friends or to a local photo processor for prints. Share photos, albums, film rolls or your entire photo library on CDs or DVDs. Add functionality to iPhoto with these free Applescripts. They allow you to perform a number of tasks including the creation of an audio postcard and slideshow with music. Apple's revolutionary software for creating your own DVDs. Free with Superdrive-equipped Macs, $59.95 for others as part of iLife. An excellent overview and tutorial for getting started authoring with iDVD 5. Professional quality button and templates for use with iDVD. A source of inexpensive alternative themes to spice up iDVD. Fabulous professionally produced iDVD, Keynote and Pages templates. Great for kiosks too! A fantastic FAQ containing information about performance issues, debugging and using iDVD4. An enormous collection of Garageband related links, tutorials, product reviews and more. Get hundreds of free loops for use in Garageband, Soundtrack or Logic/Logic Express by registering as a member of icompositions.com. icompositions.com is a free community web site where you can share your Garagband compositions and learn about books, tips and loops for Garageband. A community and collaboration site full of wisdom and links. Want to record music with GarageBand? This ebook explains how to use GarageBand to create musical compositions with vocals, drums, guitars, MIDI keyboards, even the kitchen sink! Seattle musician Jeff Tolbert shares his GarageBand know-how and years of recording experience to help you get the most out of your existing gear or purchase new equipment that fits your budget and style. You'll find real-world recording studio techniques, learn how to use a microphone, and discover how to apply effects like a pro. Clear steps and plenty of practical advice help you plan a recording session, record with Software Instruments or Real Instruments, and rerecord if you make a mistake. Two example songs demonstrate many of the techniques discussed. Bonus! Linked-in audio lets you listen to examples while you read about them. Remember us when you're famous! Trying to make music with GarageBand? Seattle musician Jeff Tolbert's step-by-step instructions guide beginning and intermediate users through using GarageBand's built-in loops to create two songs, teaching you not only how to use GarageBand's editing and mixing features but also how to be playful and creative while composing tunes that please the ear. You'll learn how to plan a song, the six elements of a successful song, strategies for adding loops to a song, five goals to consider when mixing, and how to export your music to iTunes. The ebook also covers how to change track volume, pan your tracks, adjust equalization, and work with the Reverb effect. Linked-in audio lets you listen to examples while you read about them. Bonus! Is your Mac bogging down while playing complex tunes? The ebook includes seven suggestions for solving performance problems. Apple's web-based storage, publishing and tool suite is fully integrated into Panther and iLife. This wildly popular and extremely powerful $30 shareware program converts images between 145 graphic formats. It's a must in every digital toolbox. This incredibly clever OS X application allows you to use your digital video camera as a backup drive. That's right, you can store 10-15 gigabytes of data on one hour-long DV tape. $25 shareware. WireTap is a free product for MacOS X 10.2 or later that allows you to record any audio playing on your Mac, saving it to a file for later listening or processing. This allows you to record news from Internet radio stations such as the BBC News, sound snippets from your favorite DVD movie, record the audio from a game, or even iChatAV conversations. WireTap works using a simple tape recorder-like interface. Simply click the record button, and any audio playing through your Mac will be recorded to disk. WireTap can record any sound that is playing regardless of the source, so RealPlayer, iTunes, DVD Player, Windows Media Player, etc. are all supported. FREE! RadioLover allows you to record your favorite Internet radio streams as separate files. Archive and listen to radio shows on your iPod. Record Internet radio streams as individual MP3 files You can schedule recordings of your favorite radio programs, even multiple streams at the same time $15 shareware. Audio Hijack and Audio Hijack Pro are shareware tools (Mac) that allow you to capture any audio played or streamed on your computer. Audio Hijack Pro allows you to convert these high-quality recordings to MP3 files on the fly. You could always just convert the AIFF files created by Audio Hijack in iTunes or another utility. $16 or $30. QiPo stands for 'QuickTime in - Preview out'. QiPo processes a QuickTime movie and creates an image containing sequential frames that conform a preview of the movie. QiPo can process any movie format that QuickTime understands, such as MPEG, some AVIs, and even QuickTime VR objects. This amazing utility can preview web-based streaming movies without having to download them and lets you quickly scan a bunch of movie files. For Classic and OS-X. $10 single-user, $99 site license. BetterSound is a Mac OS X audio preference panel. Unlike the standard Mac OS X Sound panel, it displays both input and output options in a single panel and adds a stereo input VU meter, stereo input gain controls, stereo output volume controls, input mute and monitor buttons, and other features. BetterSound is free for Mac OS X 10.2. EditDV Unplugged is an entry-level digital video editor based on Digital Origin's award-winning EditDV. EditDV Unplugged provides more powerful content creation, editing than other free tools available on the Macintosh platform, such as Apple's iMovie. Additionally, when used in conjunction with Terran Interactive's award-winning Media Cleaner EZ for QuickTime, users can quickly and easily produce streaming QuickTime content for delivery on the Internet broadband networks and CD-ROM. Comments supplied by icanstream.com. QuickMovie is a $20 application that creates QuickTime movies from a series of images. You can create fixed sized movies or have the size of the movie reflect the size of the largest image in the series. You can optionally scale images to the movie size, specify how many images are displayed per second, choose from any available QuickTime compression method, and much more! QuickMovie supports every image format supported by QuickTime 3.0 or later, which includes JPEG, GIF, Photoshop, PICT, and many others. A $49.95 program for Mac and Windows which allows you to drag a load of graphic files to the application, determine the time for each slide and the transitions you wish to have between them. The slideshow may then be exported as a QuickTime movie and shared with friends. A tutorial for learning basic ProTools production techniques. A highly recommended $49.99 shareware product allowing you to record/digitize, edit and export audio on the Mac. Academic pricing ($25) and site licenses are available on their special order form. Play and record sounds in various formats. Record and edit audio files with this visual waveform AIFF editor. Download a professional sound-editing utility. Pay $29 and unlock the power of QuickTime Player and PictureViewer. QuickTime 5 is the current version for Mac and Windows. Rather than install QuickTime via a web connection, download this standalone installer for Mac or Windows, burn it on a CD and have it ready to go. Which RealProducer is for you? Decide if you should pay $29.95 for RealProducer Plus or use the free Basic version. The free tool for producing modest quality streaming media. This indispensable shareware tool allows you to resize, convert and compress an entire folder full of graphics at once. Useful for Mac OS 9 (not OS X) and Windows. Sorenson creates perhaps the best Codec for compressing QuikTime and Flash movies. Squeeze is an easy-to-use powerful tool for compressing video files or DV input for delivery via the web or disk. The Squeeze Compression Suite includes Codecs for MPG-4, QuickTime and Flash. You may buy less expensive versions specializing on one of these output standards. Education pricing may be available. The magical gold standard for media compression of all sorts. Cleaner allows for a variety of media-types to be converted and compressed in batches.Education pricing may be available. Gimp is is the GNU Image Manipulation Program. It is a freely distributed piece of software suitable for such tasks as photo retouching, image composition and image authoring. Some people think that Gimp is a viable alternative to Photoshop. Click here for installation instructions and here for Mac OS X installation instructions. HipFlics will take your movies that were exported from FinalCut Pro, iMovie, or any other popular video editing package and prepare them for Internet delivery. File Sizes can be reduced over 50 times from straight DV with HipFlics, and your video will still be clear enough to see you baby's first teeth! Education pricing may be available. eZediaQTI is cross-platform interactive QuickTime authoring software for creating rich internet content and movies.Education pricing may be available. eZediaMX 3.0 is multimedia authoring software which revolutionizes media integration and editing by generating QuickTime output. Education pricing may be available. Perfect for home video enthusiasts and educators, SmartSound Movie Maestro is designed to be the easiest audio software on the market, period. Included on the disk are 26 songs designed to work with Movie Maestro’s unique technology and are yours to use for any home or educational video project: family events, sports, vacations, weddings, parties, school projects and more. If you can shoot it, Movie Maestro can make a music soundtrack for it. Only $49.95! Extra sound-CDs and education pricing available. Smartsound for Multimedia and the new SonicFire Pro! This cross-platform software and its huge library of sound files will compose a piece of royalty-free music to your specifications. SmartSound for Multimedia is the enhanced version of Smartsound Movie Maestro and SonicFire Pro is the professional version. Create cool interactive multimedia presentations and output them as QuickTime files. MovieWorks deluxe runs in OS X, Classic Mac OS and Windows. Turn still images into an interactive QuickTime movie in seconds! Lets you caption, subtitle, dub, or audio-describe a videoclip. CoolEdit 96 is a very good simple recording and editing package for Windows users. Sonic Foundry produces consumer and professional-level audio and video tools. Video Factory is particularly good for video capture, editing and publication if you are forced to use a Windows box ($50-60). This external device allows you to turn analog or digital video into a DV stream for editing on your Mac. Dazzle offers a selection of other low-cost USB and analog devices. Plug any microphone into your Mac via the USB port. Free music notation and MIDI composition program for kids by the creators of the professional-level Finale software. An ecclectic collection of royalty-free archival video footage. This is the place to look for things like the Duck and Cover films. Broadcast your own radio station by uploading MP3 files to this site or even broadcast live from your PC! Add sound effects to your web pages for free! Learn all about streaming media in this terrific site. Another great source of information and assistance about streaming your content. Store up to 500mb for free! Zillions of professional-quality royalty-free music, available in 10, 15, 20, 30, 60 & 120 second clips. NBC Sports used some of these sounds in the 2002 Olympics and you can have them for free! Collections of royalty-free sound effects, music loops and samples. Free samples and huge libraries of sounds and sound effect files you can purchase. Studio quality sounds and sound-effects you can buy for use in multimedia projects. Ira Glass and his merry band of geniuses create a weekly hour-long show around a quirky theme. The storytelling is phenomenal as is their use of low-technology (radio). Their site archives all of their shows, has links to resources for making your own radio and notes on how educators use This American Life. This NPR project chronicles the 20th Century through the collection and redistribution of sounds captured across America by all sorts of people on all kinds of media. There are some great stories here and terrific examples of how compelling audio can be. The site says that they are dedicated to documenting a hidden America. 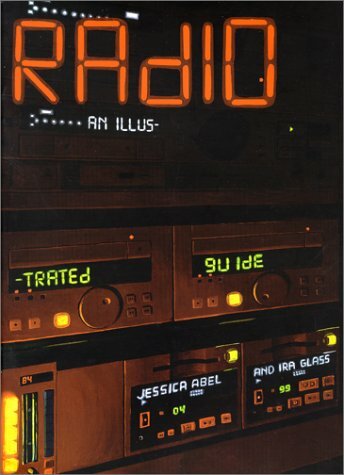 Many of their ecclectic and important radio documentaries appear on All Things Considered. The site contains the Peabody Award-Winning Ghetto Life 101 which went on to become the fantastic book, Our America: Life and Death on the South Side of Chicago, as well as The Execution Tapes and the Yiddish Radio Project. There are also resources for educators and links to related material. An award-winning example of radio made by children that may inspire you or your kids to pick up a microphone. Studio 360 is a new national radio show about arts and culture, hosted by novelist and journalist Kurt Andersen and produced by Public Radio International and WNYC. Current issues, events and trends in art are a jumping off point for an exploration of ideas that aren't necessarily "news," yet are provocative and offer a lens on experience that only art can provide. Studio 360 presents richly textured and emotionally resonant stories that look at art's creative influence and transformative power in everyday life. AMERICAN RADIOWORKS® is the documentary project of Minnesota Public Radio and NPR News. ARW is public radio's largest documentary production unit; it creates documentaries, series projects, and investigative reports for the public radio system and the Internet. ARW is based at Minnesota Public Radio in St. Paul and also has staff journalists based in Washington, D.C., San Francisco, C.A., and Durham, N.C.
American RadioWorks and National Public Radio co-produce one-hour Special Reports distributed to public radio stations across the country. ARW produces documentaries and series projects for news magazines on National Public Radio, including All Things Considered and Morning Edition. Extensive online documentaries accompany all ARW radio projects, providing background, original photography, interactive elements and streaming audio of the radio documentaries. Transom is a site dedicated to giving fresh voices the knowledge, tools, encouragement and community to produce their own radio programs. Some of these programs might appear on National Public Radio. Youth Radio promotes young people's intellectual, creative, and professional growth through training and access to media. Through hands-on practice, working relationships with industry professionals, and production of award-winning programming, Youth Radio students learn the basics of broadcasting. 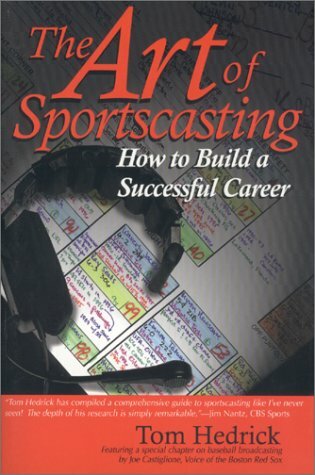 In the process, they're exposed to a broad spectrum of media-related careers. But technical training is only part of the picture. Through their journalism education, Youth Radio students also strengthen their foundation in basic "life-skills": verbal expression, writing, computer technology, critical thinking, conflict resolution, and more. Radio Rookies is a WNYC program that trains young people to use words and sounds to tell true stories about themselves, their families, their communities and the world. Young people are spoken about in the media, but they are not often enough given the chance to speak for themselves. Through a series of eight-week workshops, each held in a new neighborhood, Radio Rookies gives teenagers the tools to become radio journalists, and allows them to learn from professionals how to develop a story, conduct interviews and edit and produce a polished radio feature that can air on WNYC. Superman, Fibber McGee and Molly, Gunsmoke and the Flash Gordon scripts are all here, along with many others for your students to perform and produce. An amazing and enormous collection of script transcriptions from all over world. High art and popular shows are represented. There are TV scripts available as well. 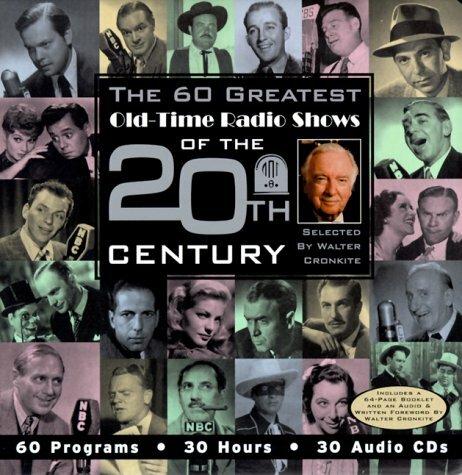 Audio-clips, scripts and more from this popular family-friendly radio variety show. So you're thinking about webcasting your first special event. It's fast and easy if you have the right equipment and software. But what exactly do you need to get started? How much does it all cost? And how do you know if your setup is scalable for the future? In this basic guide to live webcasting, Apple experts demystify the process by explaining the important concepts; outlining the right ingredients; showing how to go live quickly, easily (and relatively inexpensively); and pointing out resources in case you need help.